Dream Midtown | 210 W. 55th St. 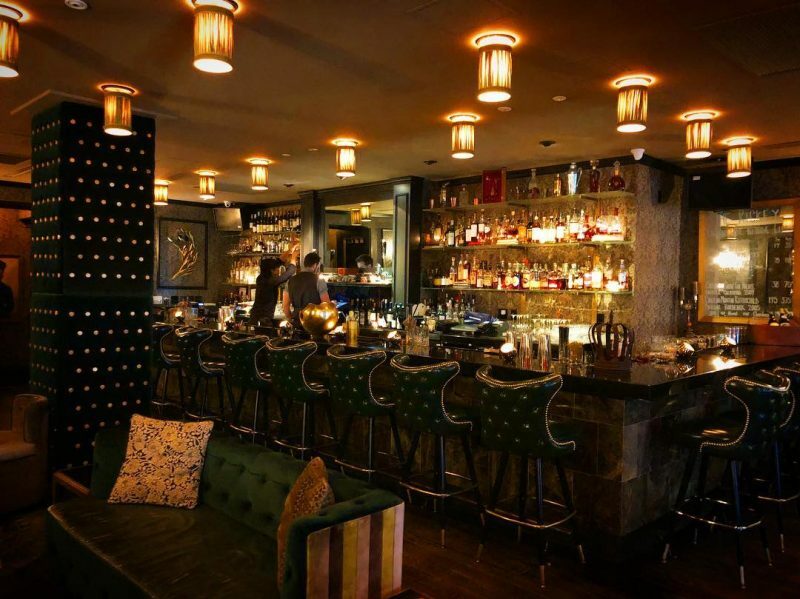 Located on the lobby level of posh, boutique hotel Dream Midtown, The Rickey is an energetic and inviting craft cocktail lounge, with an unconventional mixed drinks menu and a sophisticated yet accessible wine program. Conceptualized by acclaimed mixologist Johnny Swet, the high quality cocktail menu will feature only fresh ingredients and unique cocktailing methods. Johnny Swet moved to New York City in 1992 to establish a career in art, but instead found himself climbing the echelons of the food and beverage industry. Quickly rising to management ranks by ensuring quality food and service at such New York landmarks as The Bowery Bar, Balthazar and Pastis, Swet became a well-recognized fixture in the industry, working as Front of House Manager for The Park in Chelsea and as General Manager of Freeman’s restaurant. Swet has used his strong sense of style to create the interiors of the Marlin Hotel and Rex Restaurant in Miami. He is currently a partner in as well as the Food, Beverage and Service Manager and Director of Art and Design at Hotel Griffou, which he founded with Larry Poston as well as Rogue & Canon. Swet is also a partner at JIMMY at The James New York and Chicago and formerly at Cole’s Greenwich Village. He also serves at the head mixologist for hotspots including The Skylark and Café Clover, as well as formerly holding the position of cocktail curator for The Elm at King & Grove in Brooklyn and The Roger Hotel in Manhattan. Swet’s most recent endeavor is The Rickey at Dream Midtown. Swet maintains his passion for art and has had many solo and group art shows across the country. You may have heard of a Gin Rickey, but you’ve probably never heard of Joe. “The Rickey” can be traced back to Colonel Joe Rickey, a lobbyist and a political “fixer” in Washington D.C., who never drank his whiskey straight. He made the eponymous drink his own by adding a lime to his “mornin’s morning,” a daily dose of Bourbon with lump ice and sparkling water. Quickly becoming a popular figure, in politics and at his favorite bar, Shoomaker’s Saloon in Washington D.C., it was rumored that people began to tell the bartender at Shoomaker’s “I’ll have a Joe Rickey.” Some people are born into fame; others achieve it, while celebrity is thrust upon a few. Among the latter is our friend Col. Joe Rickey.